A secret agent I know once had a job taking calls for Pizza Pizza. At the risk of a potentially fatal and almost certainly painful corporate takedown, I’m going to reveal a secret about the cheese + tomato empire. The “regular price” is never the price. Pizza Pizza has a standard list of package deals that get re-packaged to suit the promotion of the moment. An example. The “2 medium pizzas, 4 sodas and a funnel cake” deal might be repurposed as the “Super Bowl 7” in winter, and the “Easter Pizza-ganza” in spring. It’s hard to make deals convincingly on a sales pages. If you buy or sell info products, you know what I’m talking about. Your price: $500. Valued at: $20,000. And my pizza deal is actually worth $185. If you multiply [your hourly rate] x [the time it takes to prep dinner], you could probably make a case for this. But everyone knows pizza doesn’t cost $185. It’s called context. And without it, “regular price” or “valued at” is not believable. You’re browsing the web on your lunch break, shopping for an all-purpose bag for work. In your heart, you already know what you want: Saddleback. Saddleback Leather stakes their reputation on being expensive-but-worth-it. You’ve been to their site before, and you’ve seen your friends tooling around in their smooth-as-butter belts and purses. You also know that their classic briefcase runs at about $600. That’s your frame of reference. So when you find a recently-discontinued leather satchel at $200, your circuits start firing. If you’re going to discount your prices, there needs to be some context. Otherwise, it sounds sales-y and turns people off. I recently bought an info product for $2000 USD (approximately $80,000 CAD, with the exchange rate). I bought it through an affiliate who was offering a bonus valued at $750. After months of being on the fence about this product (years, if I’m being honest), I pulled out my credit card with gusto. This bonus was already on my wishlist. I was already saving for it. To me, it represented a huge value add. It wasn’t a randomly inflated number to make me think I was getting a deal. It was an actual number already in my frame of reference. It was a price I could actually see myself paying. And that there is the sweet spot of the “value-add”. What do your customers already want? What services do they already pay for and attach a dollar value to? What products or services are they already shopping for that you might be able to give away at no extra cost to you? If you can’t think of anything, skip the discount and charge what you product or service is really worth. What does “valued at” mean to you? 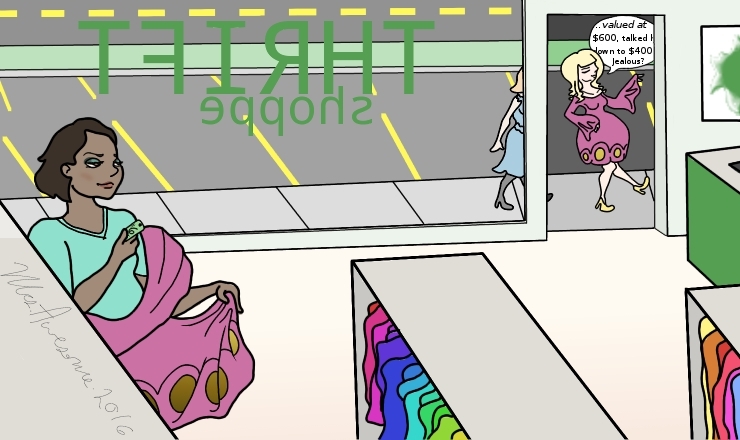 When do the words “regular price” or “suggested retail value” actually resonate with you? 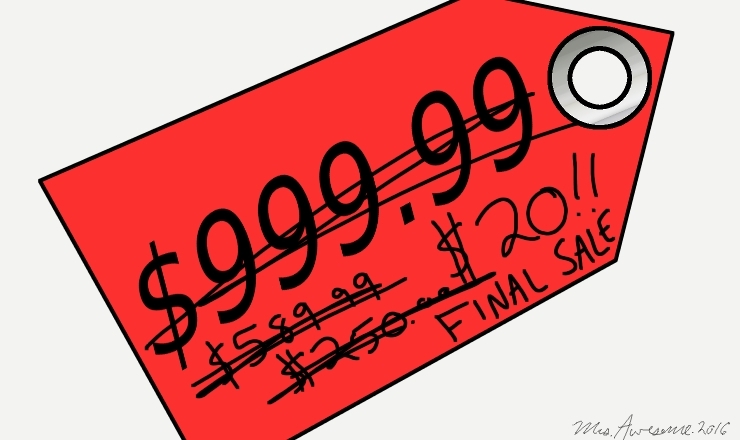 How much added value and bonuses can you handle before the discount loses its luster? For me, the answer is “would I conceivably pay that price for it?” If it’s a yes, there’s a much greater chance I’ll warm up my credit card to buy it.